and then to return the next day for pick up. We will travel up to a 20 mile radius of Gorham Cooperative Preschool. 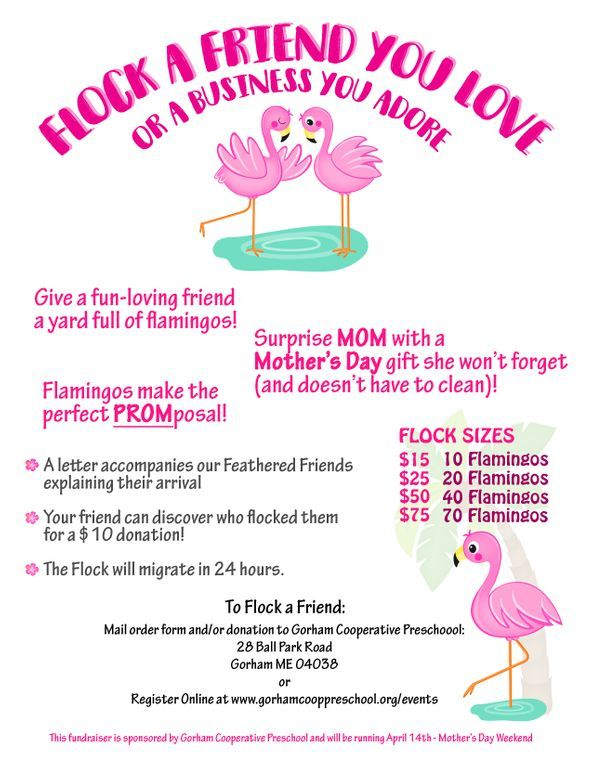 After you place your order you will be contacted by a member of the Flocking Committee to set up your flocking!